Finally for my lips it's been a mix of products and since taking this photo I've added more but lets stick to what's featured in the photo otherwise you would be reading for hours. Starting with a lipliner my current most reached for is Maybelline Colour Sensational in 132 Sweet Pink. I just find that this is the perfect pink liner to pair with any pink product. I have been reaching for my Makeup Revolution Liphug in End With Beginnings, this is the most perfect Barbie Pink you could own (find swatch here). I have been loving the Wet n Wild Lipstick in Pinkerbell, firstly how cute is the name! This is such the perfect cross between a light and dark shade of pink. It's also one of them colours that exaggerate the white of your teeth. My beloved Apocalips have been dug out from the bottom of the drawer and they are so perfect for when you just don't want to be applying lippy through out the day because let me tell you they do not budge! The one pictured above is the Rimmel Apocalips in Out Of This World (more about it here inc swatches). Finally for gloss I have been loving the Tanya Burr Lipgloss in Picnic In The Park and of course couldn't forget to add some lip balm to the mix to keep away dry lips I have been loving the Baby Lips in Pink Punch. What colour have you been loving for your makeup recently? 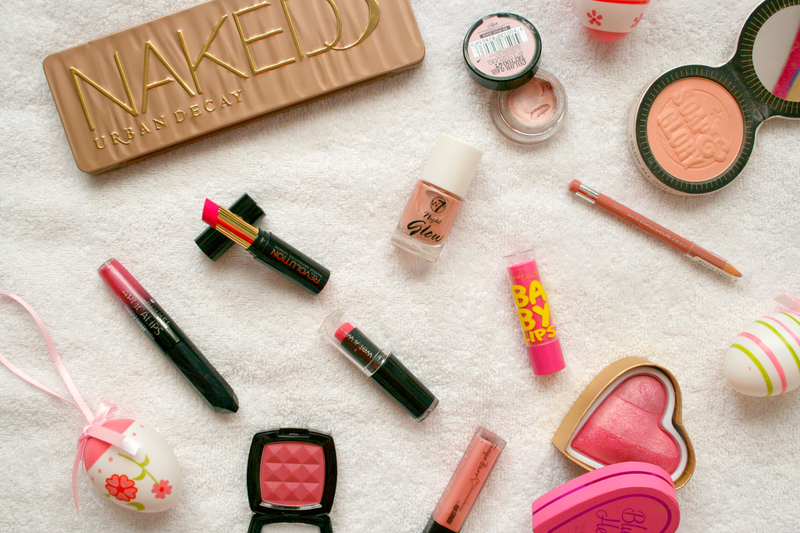 That blush looks such a gorgeous shade! I love that blush! Pink is the best colour ever. I LOVE Nyx and Desert Rose looks like such a gorgeous blush! :D Lovely picks babe!